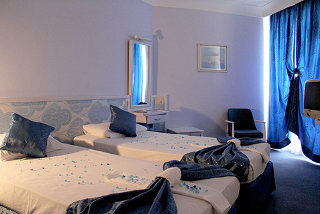 Paris Hotel caters to families, couples, solo travellers and large groups of friends. Centrally located, it is convenient for travellers of all kinds and features a restaurant, a terrace resto-bar, snack bar and an outdoor swimming pool. Paris Hotel offers 40 guestrooms divided into 36 Standard Rooms and 4 Suites. All the rooms are carpeted, and furnished with air conditioning, TV with satellite, private bathroom with shower & bathtub, phone and mini bar. 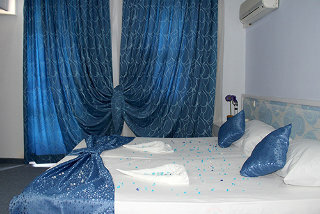 Types of bedding are subjected to availability, but rooms have either double bed or twin beds. 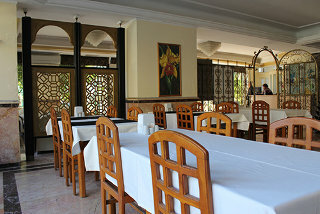 The hotel serves buffet breakfast between 7am and 10 am — it serves selected local and international cuisines. It also has bar that serves all-day snacks, beverages and alcohol menu, while the terrace restaurant serves Italian and Seafood a la carte menu. It features an outdoor swimming fitted with sunbeds and umbrellas — drinks are served around the pool area. 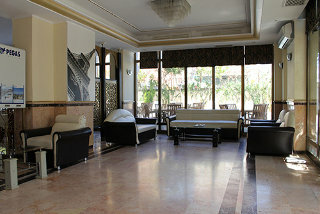 Located 200 metres from the Lara Beach, Paris Hotel in Antalya is a three-star property. 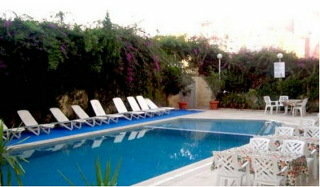 Built within a landscaped garden, it offers 40 rooms. Each room is built with a balcony that offers seaside and poolside views. The city centre is only a stone’s throw away, giving easy access to most major streets and destinations. Thus, in case you want to explore the local cuisine or market, there are scores of restaurants, bars, cafes, clubs and shops in the neighbourhood — Antalya Airport is 13 km away.